A Summer of Betty is an interesting jewel set which has a cute Anchor on it and it is available in the form of earrings and necklaces. 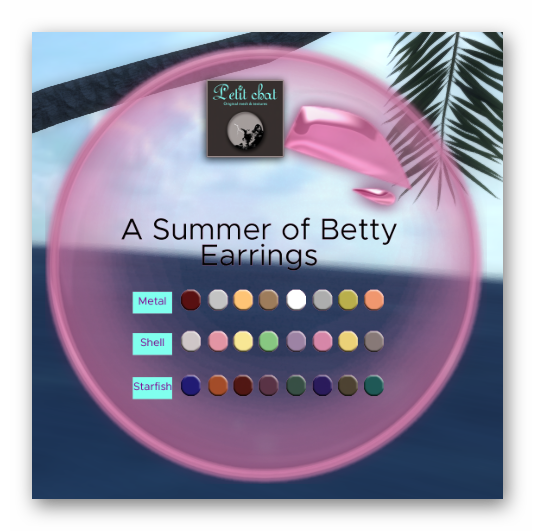 They are featured at the Inspiration Event and besides than the Fat Pack, you can purchase the earrings or necklace separately on its own. 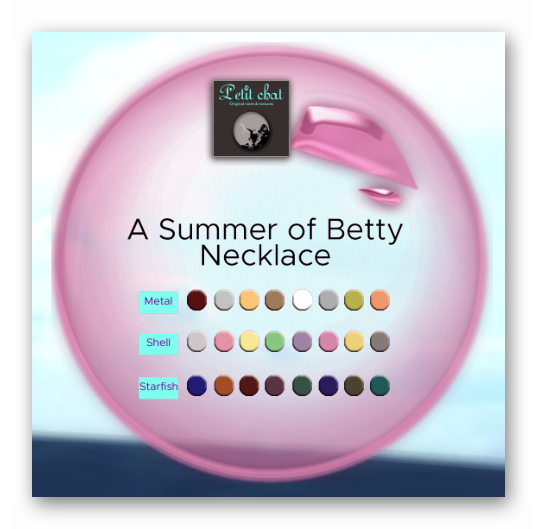 The Necklace comes with a HUD like all other modern Petit Chat products and it can be changed to more colors than you can imagine. Kitty has chosen a striking Yellow color from the HUD and you can easily spot it now, even though it is cute and tiny! 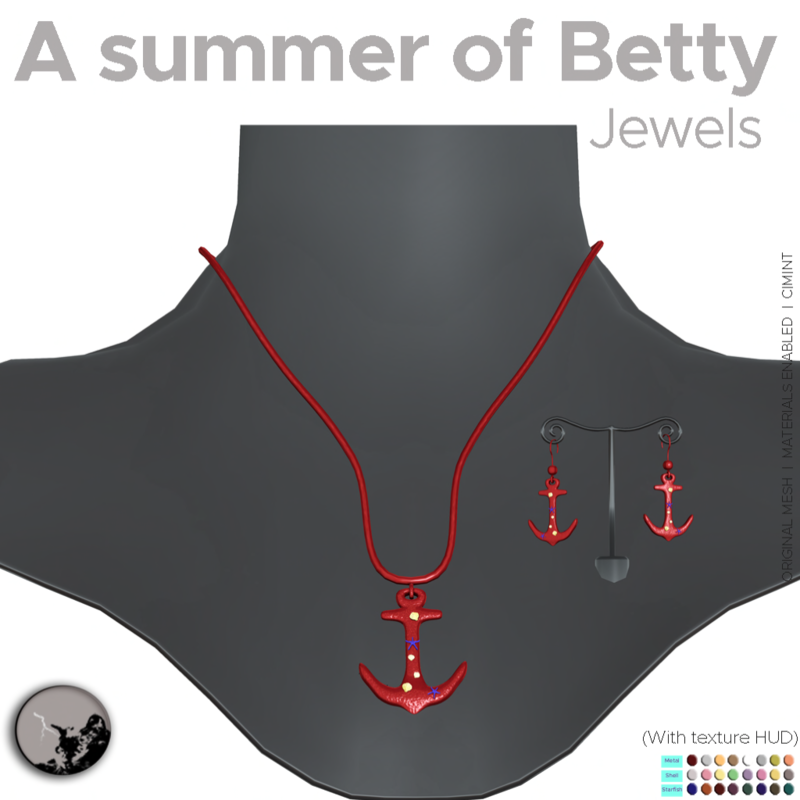 The necklace would perfectly fit the day Kitty is at the beach! The earrings from this set also comes with a HUD and it has cute components like Shell and Starfish on the anchor which you can change to different color as often as you like! Here is a full set of the matching Yellow earrings and necklace! The cute little anchor just want to make you want to go sailing with Kitty, right? Find Petit Chat booth and decide on whether you want just the earrings or necklace or even all of it! 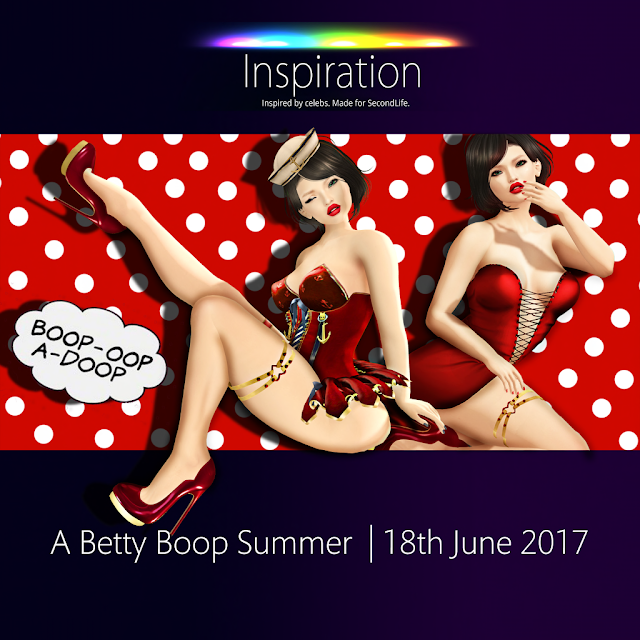 If you are wondering what is the name of the set "A Summer of Betty", well, I hope you have figured it out from the Inspiration poster!